London, 1st August 2018: The London School of Economics and Political Science (LSE) is to host its first ASEAN Global Leadership Programme (AGLP) in March 2019, bringing a group of senior leaders from the private and public sectors for a week of high-level debate, discussion and reflection on leadership, entrepreneurship and innovation. The ASEAN region is one of the sources of major growth in the global economy, increasingly interconnected with China, the US, Australia and Europe, and as such its leaders are playing a significant role on the world stage. 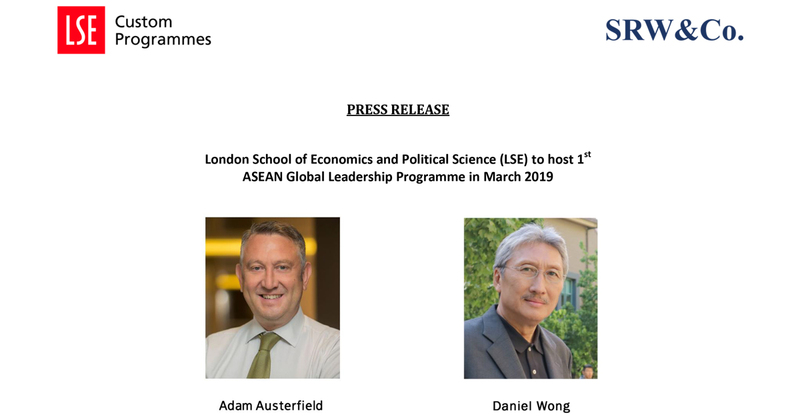 To help inform, encourage and inspire senior colleagues from the ASEAN region, LSE is delighted to host the AGLP for the first time on its central London campus. This initiative forms part of a series of pioneering executive education programmes launched by the regional management consulting firm SRW&Co. over a decade ago which have been delivered in top universities and business schools around the world ever since. Senior members of LSE faculty and Programme Academic Directors, Professor Emeritus Mick Cox, Co-Director of LSE IDEAS, and Prof Saul Estrin from the Department of Management, are looking forward to welcoming and working with the AGLP participants to facilitate exchange of knowledge and experience with LSE faculty, high-calibre guest speakers and senior expert practitioners as well as among the programme participants. “This customised executive education programme creates a high-impact platform for contemporary leaders. The opportunity to learn about, analyse and discuss best international practices in leadership, entrepreneurship and innovation across various sectors will be truly unique. Interaction and engagement in an intellectually rich format in and out of the classroom are key to this programme, and together with substantial networking opportunities will form part of the journey to help advance senior colleagues from the ASEAN region as leaders in the 21st century,” they explain. Learn more about the ASEAN Global Leadership Programme and SRW&Co. or download the registration form to sign up. The London School of Economics and Political Science (LSE) is one of the foremost social science universities in the world. Founded in 1895 with the purpose of the betterment of society, LSE has become a global leader in its academic discipline. Consisting of 23 academic departments and 22 research centres, LSE’s research activities have been classed as world leading, and provide for the highest proportion of research contributions than any other UK university. Truly international in nature, LSE currently welcomes students and staff from over 130 countries, with 142,000 LSE alumni in over 200 countries worldwide. Moreover, 18 Nobel Prize winners and 37 world leaders have taught or studied at LSE. Following the motto to understand the causes of things and aiming to academically engage with real world issues, LSE has gained unprecedented experience in research, teaching and learning, as well as in knowledge transfer, through customised executive education programmes and by providing insights into cutting edge research relevant to academic and professional interests of organisations and individuals. LSE is a unique institution that combines intellectual excellence and global reach. LSE Custom Programmes works with LSE academics to customise executive education programmes for governments, public and private sector organisations. LSE Custom Programmes are designed and delivered world-wide, allowing our global partners to receive an LSE education experience that is tailored to specific needs and requirements. The programme design draws on the knowledge and expertise of LSE, enabling the delivery of programmes of high quality and impact for organisations and individuals. By facilitating customisation and flexibility, LSE Custom Programmes is able to match specific requirements precisely. With a wide breadth of expertise in managing the programmes we can ensure an efficient implementation of programmes and projects, which have a long-lasting impact on organisations and individuals. We have been able to deliver a wide variety of programmes to renowned institutions in both the public and private sectors and this has provided us with the knowledge and ability to ensure programme effectiveness and participant satisfaction. Visit www.lse.ac.uk and follow LSE on Twitter: @LSEnews. Students and teachers from near and far are a big part of what makes LSE so special. SRW&Co. 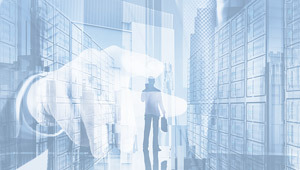 is a regional management consulting firm providing specialist services in designing and implementing a full range of integrated people management and development solutions. We also work in partnership with our global business school partners to design and deliver our flagship ASEAN Global Leadership Programs and also custom leadership development programmes for our clients. Visit www.srwasia.com and follow SRW&Co. on Twitter: @SRWCo.